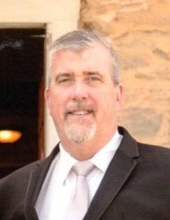 Harry Ervin Free II, age 52, of Frederick, passed away surrounded by his loving family Friday, November 30, 2018 at Johns Hopkins Hospital, Baltimore, from complications following surgery on October 31. Born November 26, 1966 in Frederick, he was the son of Donna Ecker Grossnickle of Union Bridge and the late Harry E. Free who died in 2002. He was the soulmate of Lisa A. Smith and the stepson of Mike Grossnickle of Union Bridge and Susan B. Free of New Market. Harry was a 1984 graduate of Linganore High School where he held various positions with the FFA. Following graduation he served in the Air Force Reserves from 1984-1990. He was employed with A & S Granite Co. of Mt. Pleasant for 20 years and took early retirement on April 1, 2015 due to health reasons. He was also a professional bartender at many local establishments. Harry was a member of the New Market United Methodist Church, the New Market Fire Co. where he formerly served as vice president, the Frederick Amvets and Moose and the Glen W. Eyler American Legion Post of Woodsboro. He was an avid pool shooter for more than 30 years and was a member of the American Pool Association. He loved his farmette and cooking and along with Lisa, hosted many gatherings for family and friends. He was very interested in horticulture, gardening, raising animals, hunting and fishing with his father, traveling throughout the United States. In addition to his mother, soulmate, stepfather and stepmother, he is survived by a son, Dylan M. Free and wife Leslie, U.S. Navy in Hawaii, Lisa’s son Ethan Schultz; halfsister, Denali Free of Colorado, stepsister, Stephanie Bohn and husband Mike of Union Bridge, aunts, uncles, nieces, nephews, cousins, a host of special friends and his best buddy, “Lexi”. He was predeceased by a halfbrother, Joshua Free in 1990. A funeral service will be held at 10:00 a.m. Thursday, December 6 at Hartzler Funeral Home-Libertytown, 11802 Liberty Road, Frederick, with Dwight Reynolds, officiating. Interment will follow in Marvin Chapel Cemetery, near Mt. Airy. The family will receive friends at the funeral home 3-8 p.m. Wednesday, December 5. Memorial contributions may be made to the Frederick Moose Lodge #371, 828 E. Patrick St., Frederick, MD 21701 or to the Glen W. Eyler American Legion Post 282, 101 W. Elizabeth St., Woodsboro, MD 21798 or to the Amvets of Frederick Squad #2, 702 E. South St., Frederick, MD 21701. To send flowers or a remembrance gift to the family of Harry Ervin Free II, please visit our Tribute Store. "Email Address" would like to share the life celebration of Harry Ervin Free II. Click on the "link" to go to share a favorite memory or leave a condolence message for the family.